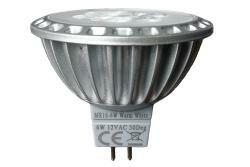 12 Volt AC MR16 LED Lamp - 5 Watt - 30° Beam Angle, Warm White. 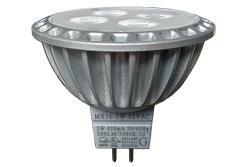 12 Volt AC MR16 LED Lamp - 5 Watt - 120° Beam Angle, Cool White. 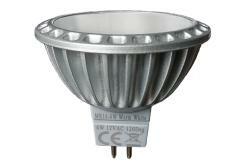 12 Volt AC MR16 LED Lamp - 6 Watt - 30° Beam Angle, Warm White. 12 Volt AC MR16 LED Lamp - 6 Watt - 120° Beam Angle, Warm White. 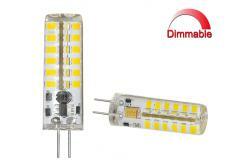 Silicone Encapsulated G4 Bi-Pin - 12 Volts AC or DC, Dimmable. 170 Lumens, 3000K Warm White. Light output equivalent to a 15 Watt Halogen bulb. 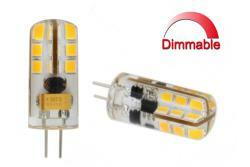 Silicone Encapsulated G4 Bi-Pin - 12 Volts AC or DC, Dimmable. 200 Lumens, 3000K Warm White. Light output equivalent to a 18 Watt Halogen bulb. 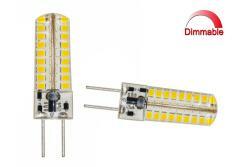 Silicone Encapsulated G4 Bi-Pin - 12 Volts AC or DC, Dimmable. 240 Lumens, 3000K Warm White. Light output equivalent to a 23 Watt Halogen bulb. 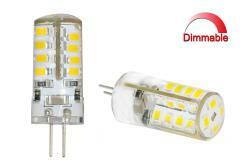 Silicone Encapsulated G4 Bi-Pin - 12 Volts AC or DC, Dimmable. 290 Lumens, 3000K Warm White. Light output equivalent to a 30 Watt Halogen bulb. 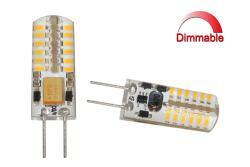 Silicone Encapsulated G4 Bi-Pin - 12 Volts AC or DC, Dimmable. 340 Lumens, 3000K Warm White. Light output equivalent to a 29 Watt Halogen bulb.